GB 460 C - Mobile and extra-powerful: The petrol multi-shredder with separate chambers. 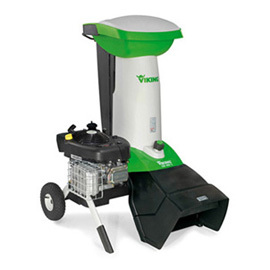 Mobile and extra-powerful: The petrol multi-shredder with separate chambers. As well as being suitable for use anywhere, this extra-powerful multi-shredder can process virtually any material: from soft material to branches up to a thickness of approx. 75 mm. For this purpose, it is equipped with two separate feed openings and a extremely powerful, particularly smooth-running petrol engine. This makes it ideal for use in orchards, nurseries and for other professional use. The wide tyres and suspension on the GB 460 shredder enables easy transportation and high stability during use. GB 370 S Designed for woody material: the high-torque petrol shredder. 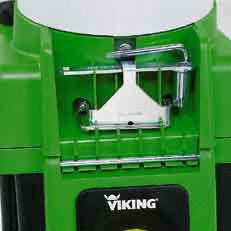 GB 460 Powerful all-purpose shredder: the petrol multi-shredder.